The space theme is very widely represented on our website, and we have already drawn an astronaut for kids and a shuttle. 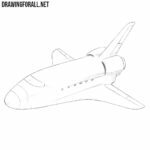 In this drawing lesson we will continue the space theme with this lesson on how to draw a spaceship. This lesson will be fairly simple, and the beginning will be extremely simple. Here, with the help of very light lines, we need to sketch out the main outlines of the spacecraft. We continue to use very light, almost transparent lines. 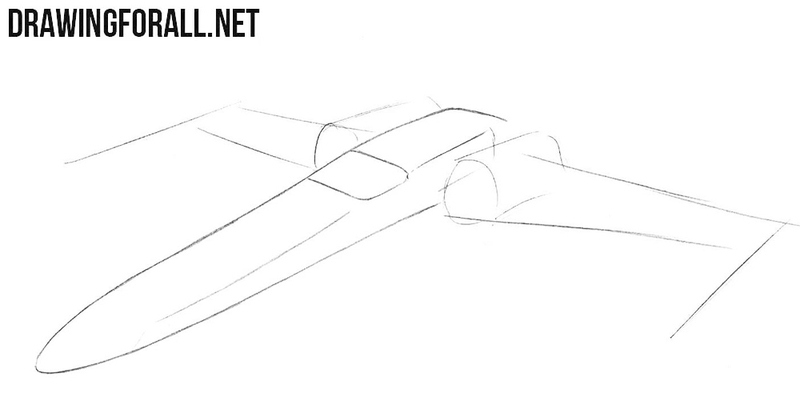 Here we will only need to sketch out the outlines of the window and large propellers on the wings. 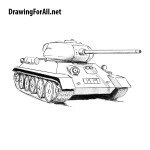 Here we will start using dark and clear lines. 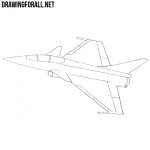 Carefully draw out the outlines of the front of the body of the spaceship. Here we need to draw out the outlines of the window. In this step, we’ll finish drawing the spaceship. 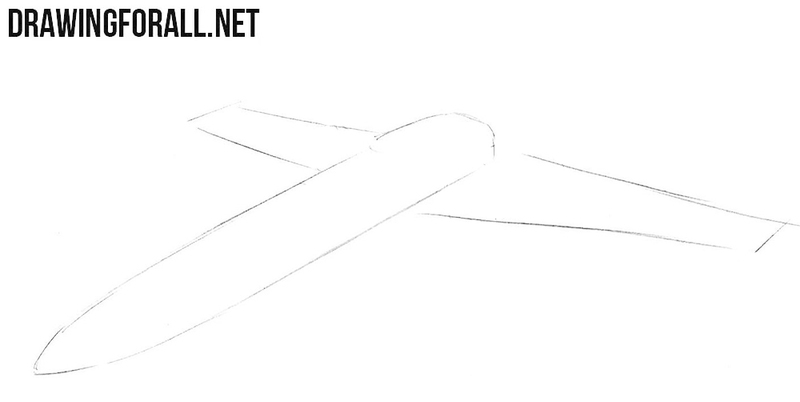 Now with the help of clear and dark lines we draw out the outlines of huge propellers and wings. Remove all unnecessary guidelines. 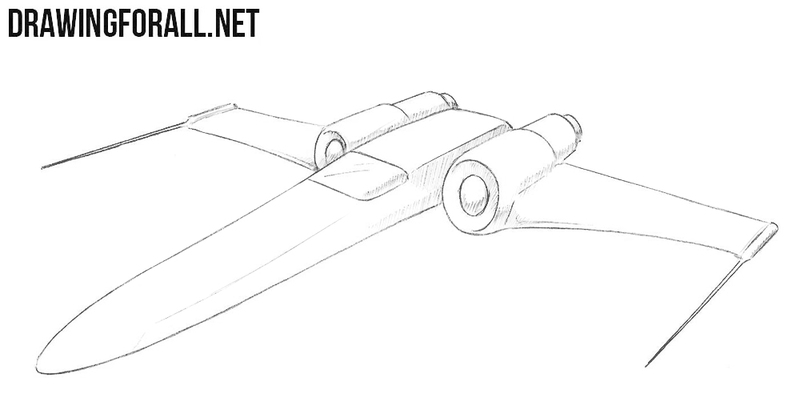 The drawing of the spaceship is almost complete, but it will not look complete if we do not add shadows. 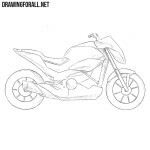 So let’s add shadows with the help of a dense hatching in the area of the body with the least lighting. 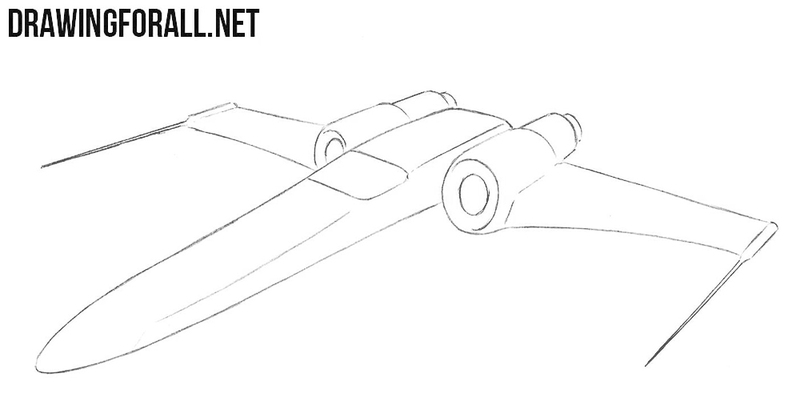 As we said, the lesson about how to draw a spaceship was very simple. 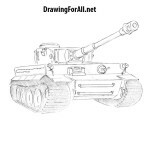 In the future, we will continue the theme of space, adding to our site a huge number of drawing lessons on this subject. 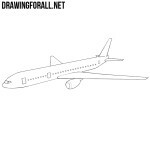 So subscribe to our social networks and visit drawingforall.net as often as possible to learn how to draw with us.